Hit the range with some friends, started off running a 200 drill as always and didn't put up the numbers I normally do, which is good because I can work on some specific stuff now. As usual ran my Gen4 G19 with barsto barrel running winchester white box 9mm. Threw three rounds out of the black two hand strong hand, then threw a bunch of rounds one handed, both sides. I was rushing my shots at times and I should have slowed down. I did call most of them however so I was not surprised seeing the target. We went on to shoot several drills, we did one shot from draws. I was running a G-Code Eclipse AIWB Holster, which is the first time I got to hit the range and do actual live fire with it at speed. I have done a few sessions of dry-fire training wit hit to get comfortable. 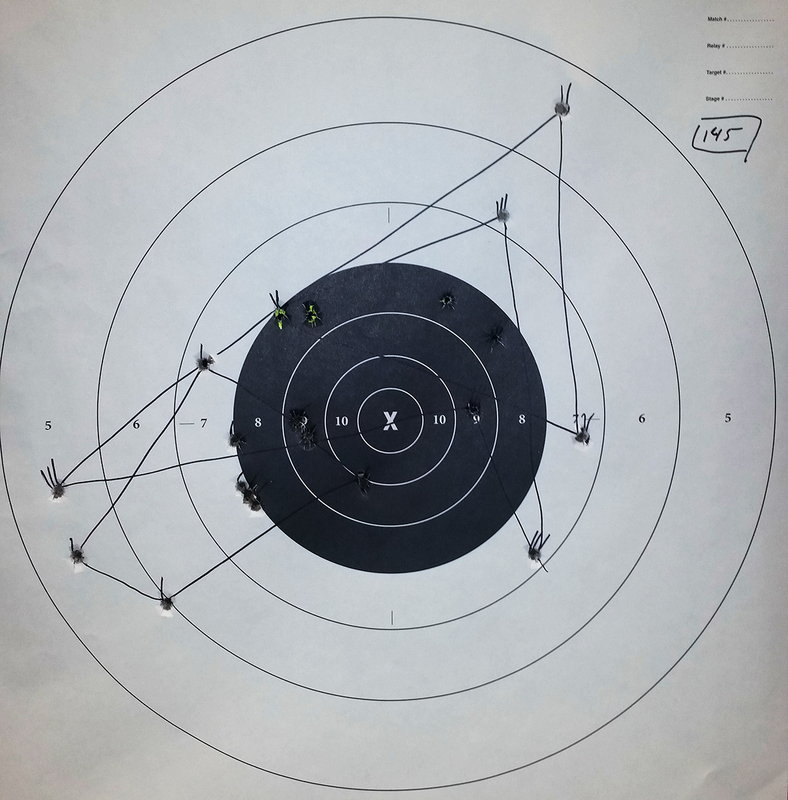 As you can see from the video, I got comfortable with the holster, then hit a sub-second one shot from draw at 7 yards in the reduced A-Zone of the target. We also ran hostage target drills which I like to throw up on the range if possible. For 15 rounds you have a really well rounded drill that encompasses several very specific skill sets, combined with speed and pressure, you get a really good drill. I put up a 6.84 sec missing one head shot by about a quarter inch, which just means I should have slowed down a tad.